NEW! All illustrations are now completely revised and redrawn for a consistent art program. NEW! 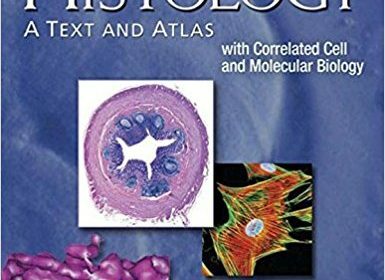 Histology 101 sections provide students with a reader-friendly review of essential information covered in the preceding chapters. NEW! Updated cellular and molecular biology coverage reflects the latest advances in the field. More than 100 atlas plates that incorporate 435 full-color, high-resolution photomicrographs. Reader-friendly highlights including red bold terms, blue clinical text, and folders featuring clinical and functional correlations that increase student understanding and facilitates efficient study. Easy-to-understand tables aid students in learning and reviewing information (such as staining techniques) without having to rely on rote memorization. Features of cells, tissues, and organs and their functions and locations are presented in easy-to-locate, easy-to-review bulleted lists.